What’s good? I was a little apprehensive as I’d not worn Nolan before but now wonder why I’ve waited so long. 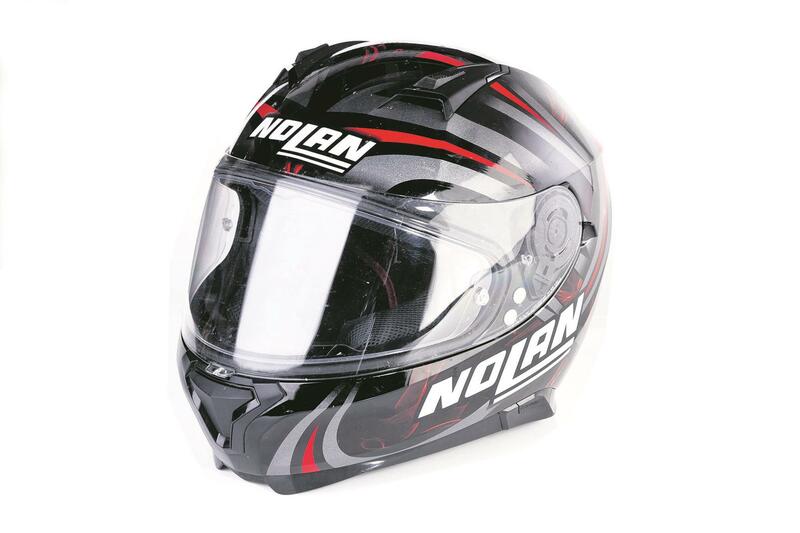 Comfort plays a big part in choosing a helmet and the N87 fitted well from day one, taking very little breaking in. It’s got features that you’d not expect from a lid in this price bracket, with a removable and washable lining, drop-down sun visor and pinlock insert included. The ratchet-style fastener is easy to use plus there are plenty of vents, which are easy to operate when wearing gloves. It’s recently won the MCN Award for Best Product of 2016, and I can definitely see why: it’s been hard wearing and is very good value for money. The lid comes prepped for an intercom system, which is available as a £45 optional extra from Nolan. What’s not? There’s one annoying little fault – there’s a small removable breath guard which continually falls out, and now I’ve lost it totally so the visor fogs around the edge of the pinlock which is a pain on damp days.